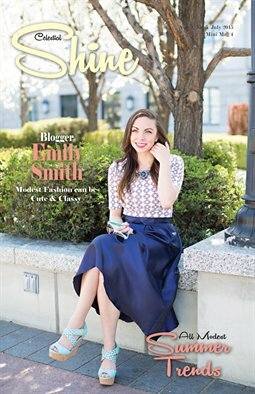 Emily Smith from the blog Our Lovely Deseret: "In this issue, you can read my article about modesty title 'Hemline to the Heart.' This article focuses on the reasons behind why I dress modestly, a good read if you try to dress modestly, too, or if you're just curious about what motivates me to do so!" Also, check out some of the gorgeous modest trends that Emily has shared on her blog!